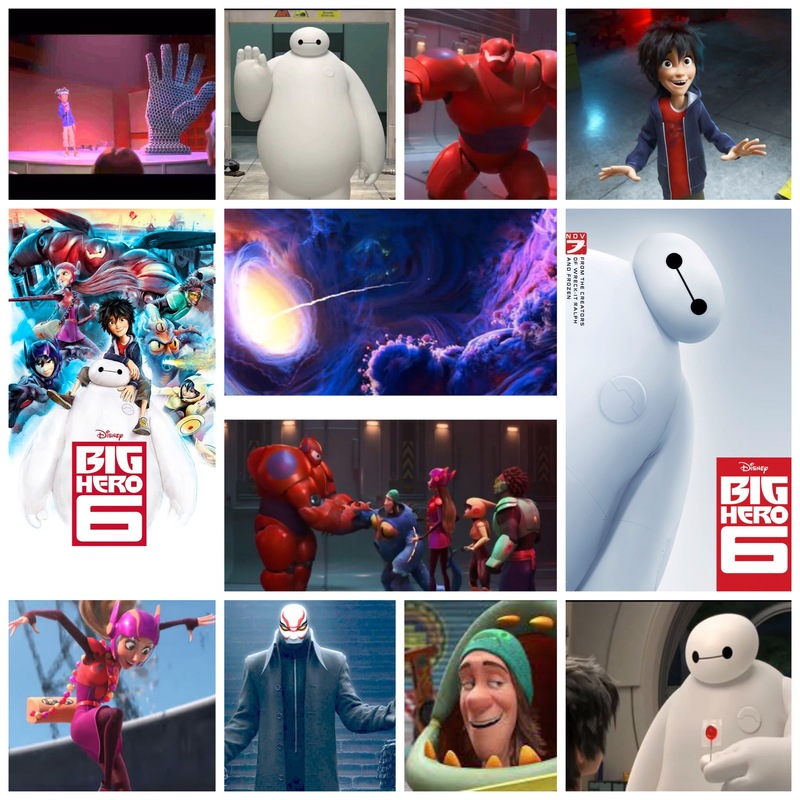 Disney/Pixar’s Big Hero 6 is the perfect example of what we should expect from animated films: dazzling, imaginative, passionate fables set across times and dimensions with no shortage of expanse or varied themes and visual splendour. It does seem that with each new outing (they’ve recently outdone themselves with Inside Out) they reach further for the stars and pull something out of the hat with qualities that somehow get better and better each time around. 6 is a miracle of innovation and future-house scientific pyrotechnics, a story that calls on everyone who ever wanted to try their hand at robotics, engineering or dazzling computer tech to take a look at the images on display here. In the futuristic metropolis of SanfranSokyo, the search for scientific progress and new discoveries reigns supreme, free from other pesky constraints like the R word (the way it should be in every society, tbh), and everybody is a pseudo Asian American brainiac devoted to brilliant new ideas and ingenuity, basically one giant year round science fair that doesn’t quit. Young Hiro (Ryan Potter) worships the endeavours of his prodigy of an older brother, who whips new inventions out of his sleeve every day, until one of them garners the attention of a shadowy arch villain, hijacking it for himself, resulting in his bro’s death. Left behind for comfort and companionship is giant Michelin Man robot Baymax, an adorable fatso who uses his Inspector Gadget level itinerary of utilities and rotund charm to befriend Hiro, while coaching him through the dangerous waters of seeking revenge. He’s joined along the way by many friends with voices from TJ Miller, Jamie Chung, James Cromwell and more, blasting off into one of the most visually stimulating Sci Fi adventures the world of animation has ever seen. Every kind of tool, gizmo and tech marvel is on display somewhere, and not just plonked in there as Dr. Seuss-ical sideshow diversions either, everything has a logical and specific purpose to fit it’s garish appearance and style. Baymax is the highlight, a big baby with a heart as big as his waistline who knows just when to lay down the comic relief when things get heavy. They do get heavy too, this is a mature film that treats subjects like loss, anger and moral corruption seriously, it’s a fantastical world inhabited by humans that couldn’t be more real or fleshed out, a recipe that Pixar has been perfecting for sometime now, since the first human leading characters showed up in The Incredibles. The Sci Fi is laid on thick enough for any geek to run with, and we’re reminded of everything from Stranger Things to Astro Boy and more with this package. If Pixar plans to keep climbing uphill in terms of quality, this is one hell of a brilliant plateau, and I can’t wait to see where they ascend too from it on rocket powered boots of inspiration and magic.